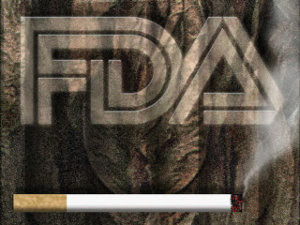 Earlier this week the FDA implemented a ban on flavored cigarettes. According to FDA documents, the scientific basis for this action was essentially a 2008 study by Klein et al. in Nicotine and Tobacco Research. Klein looked at the National Youth Smoking Cessation Survey (NYSCS), finding that 22-23% of smokers age 17-19 years had "used" flavored cigarettes, compared with 9-10% of smokers age 20-26 years and 11% of smokers age 25-39 years (the latter percentage is from another survey). 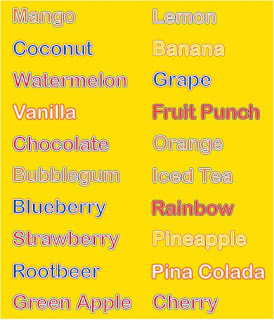 In summary, flavored cigarettes are used by, at most, 2 out of 10 young smokers and aren't even their usual brand, which is unflavored. The Klein report also provided no evidence that flavored cigarettes are tobacco initiation products among young smokers. Of course, anti-tobacco crusaders have two magical words for tobacco regulatory discussions: The children. Virtually any action can be portrayed as protecting youth, and providing a rationale for the action is entirely unnecessary. Congress directed the FDA to remove flavored cigarettes, so the agency didn’t need to justify the ban. That was fortuitous, because but it appears the FDA had trouble producing a credible scientific rationale. The FDA’s action does serve one of the primary goals of the anti-tobacco crusade: make tobacco use a miserable experience. However, since smokers who occasionally enjoy flavored-cigarettes prefer unflavored brands most of the time, the ban is likely to have minimal to no effect on smoking prevalence. It’s the equivalent of banning wine coolers because they’re occasionally consumed by people who drink a quart of vodka daily. The FDA “is currently examining options for regulating both menthol cigarettes and flavored tobacco products other than cigarettes.” The only “option” that will satisfy anti-tobacco extremists, who have been whining for years about flavored smokeless products, will be to broaden the ban. A month ago, I discussed in this blog the definitive study of cancer risks among smokeless tobacco users. This comprehensive meta-analysis, which produced a series of summary relative risks for cancer among smokeless tobacco users by systematically combining all of the primary epidemiologic studies, was completed by Peter Lee and Jan Hamling. They concluded that there is very little evidence that smokeless tobacco use is associated with any cancer. Why did the Boffetta meta-analysis always produce higher risk estimates than the Lee-Hamling study if both were using essentially the same data? A commentary published by Lee and Hamling in the journal BMC Cancer provides the answer to that question. The answer is simple and disturbing. First, let me give you some background information. Most primary epidemiologic studies report results for many different sets of circumstances. For example, a study about smokeless tobacco might report risk estimates for all users and these subgroups: current users, former users, exclusive users who never smoked, and users who also smoked. So it is important for investigators conducting meta-analyses to develop specific rules for combining estimates from different studies. Lee and Hamling developed rules and followed them systematically in their meta-analyses. In contrast, Boffetta did not specify any rules but appears to have followed one: Use only the highest risk estimate. Lee and Hamling make it clear that they produced their summary estimates by either combining risks for exclusive users (i.e. 1.8 and 0.85), or risks for users who might have smoked (0.9 and 1.67). This is both logical and scientifically valid. But which estimates did Boffetta use? The highest, of course. For the Lancet study he used the estimate of 1.8 in exclusive users, but for the International Journal of Cancer study he used the estimate of 1.67 in smokeless users who might have smoked. His goal was to maximize the health risks from smokeless tobacco use, thereby feeding scaremongers who portray smokeless tobacco as deadly, despite decades of research to the contrary. 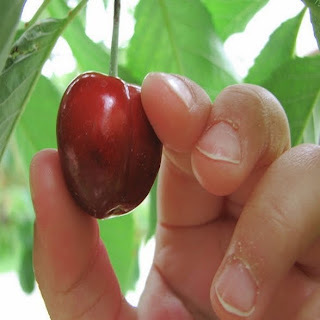 The scientific term for this epidemiologic method is cherry picking. This is just one example of the unscientific manner in which the Boffetta meta-analysis was conducted. The Lee/Hamling commentary describes many others. According to its website, the International Agency for Research on Cancer places emphasis on “elucidating the role of environmental and lifestyle risk factors” in cancer development. The IARC should not condone the fabrication of estimates misrepresenting the scientific evidence that cancer risks from smokeless tobacco use in Sweden and the U.S. are minimal to nonexistent. Kudos to Peter Lee and Jan Hamling for documenting this travesty. I have been engaged in tobacco harm reduction research for over 15 years; during this time I have discussed the subject with numerous journalists. Most of the subsequent news stories have been of marginal quality or even grossly inaccurate, because journalists rarely challenge spokesmen from the American Cancer Society or government health agencies who misrepresent smokeless tobacco as just as dangerous and just as evil as cigarettes. 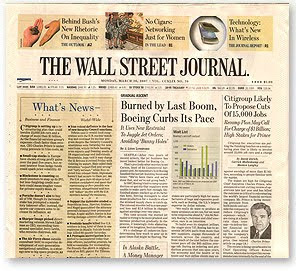 The Wall Street Journal is the rare exception to the above. In 2006 and 2007, the Journal’s Pulitzer prize winning Kevin Helliker wrote a series of articles on tobacco harm reduction as a critical public health issue. Helliker challenged everyone he interviewed to fully substantiate their positions. The resulting articles remain quite simply the best media treatment on the subject. Two of his articles can be read here and here. AAPHP concerns stem from the July 22 FDA “condemnation of electronic cigarettes,” which I covered in a previous post, available here. It appears that the FDA is poised to regulate e-cigarettes as drug delivery devices, which would remove these demonstrably safer cigarette substitutes from the market until they could be proven by manufacturers to be safe and effective, a burdensome process requiring as many as ten years of research and tens of millions of dollars. But the biggest losers of FDA e-cigarette mis-regulation would be the hundreds of thousands who are already using them to reduce cigarette consumption or quit smoking altogether. 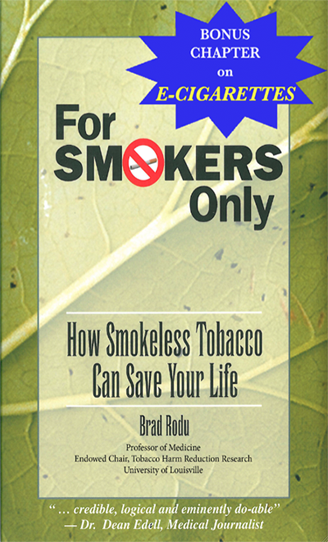 Last year the AAPHP became the first medical organization in the U.S. to formally adopt a policy of “…encouraging and enabling smokers to reduce their risk of tobacco-related illness and death by switching to less hazardous smokeless tobacco products.” The scientific manuscript on which that endorsement was based is available on the organization website here. Nitzkin and Sherrin describe the singular goal of AAPHP as “doing everything in our power to reduce tobacco related illness and death.” Lawrence Deyton would be wise to make that the singular goal of the FDA tobacco center as well, and to make harm reduction a priority for the nation’s 45 million smokers. 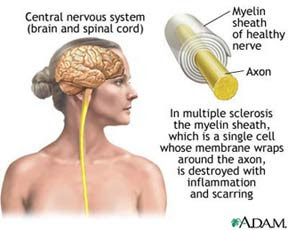 Multiple sclerosis (MS) is a chronic disease in which the immune system attacks and damages myelin, the substance that insulates nerves and facilitates transmission of electrical signals along the spinal cord, the mode by which the brain communicates with the rest of the body. It is a complicated disease, an excellent summary of which can be found here. There are no definitive causes of MS; genetic and environmental factors may play a role. Several research studies indicate that smoking increases the risk for the disease by approximately 50% (RR = 1.5, 95% CI = 1.3 – 1.7). Researchers at the Karolinska Institute of Environmental Medicine in Stockholm have just released a new study of tobacco use and MS, which was published in the September 1 issue of the journal Neurology. They compared tobacco use among persons diagnosed with MS (cases) with a group of controls derived from the Swedish population. This experimental design, called a population-based case-control study, is common in epidemiology. Readers of this blog are familiar with relative risk (RR), which is used by some epidemiologic studies to measure the association of a risk factor and a disease. The measure of association in the present study was the odds ratio (OR), and its interpretation is essentially identical to the RR and is accompanied by a confidence interval (CI), which is the range within which the RR lies with 95% confidence. Lead author Anna Hedström and her colleagues report that, compared with nonusers of tobacco, smokers had significantly elevated risks for MS. The OR for male smokers was 1.8 (CI = 1.3 – 2.5), and the OR for smoking women was 1.4 (CI = 1.2 – 1.7). The risk increased with the cumulative dose of smoking (measured in pack-years, that is, packs per day times years of smoking), which adds to the overall validity of the association. For example, compared to nonusers of tobacco, men who had up to 5 pack-years of smoking had an OR = 1.4 (CI = 1.0 – 2.0), while men who had 16+ pack-years of smoking had an OR = 2.9 (CI = 1.7 – 5.1). In contrast to smoking, the study found that snus users had lower risks for MS than nonusers of tobacco. These lower risks were present among snus users of 5+ package-years who never smoked (OR = 0.4, not statistically significant) and who had smoked (OR = 0.3, CI = 0.1 – 0.9), the latter being statistically significant. A previous study by the American Cancer Society showed that smokeless tobacco use may be protective for Parkinson’s Disease (a neurologic illness) (RR = 0.22, CI = 0.07 – 0.67). The Karolinska Institute study provides evidence that smokeless tobacco may provide protection for multiple sclerosis as well.